Lambeth SE Commercial, Domestic Packing & Removals | Quality Property Care Ltd.
Additionally, it is possible to book our expert Lambeth SE removal service just by dialing 020 3746 4287. Our team of experts is waiting to help you anyway they will be able to. Take advantage of our convenient Man and Van service or contact for the Packaging service which will take good care of all the packaging and moving for you. No matter what removal service you need, and wherever you require your things to be picked up from and taken to, simply contact the expert removals company and book the services you need right now. 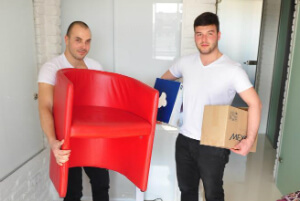 office removal services offered by Quality Property Care Ltd. company can include relocation of IT, which includes all printers, servers, computers and some other office equipment. The removals service also contains dismantling (whenever necessary) of the office furniture, files, desks, safes, shelves and other items. The removals staff can do the dismantling, packing & loading, moving, unloading, unpacking & re-assembly of the home furniture as well as the moving of all personal computers and the workplace equipment after work hours or on bank holidays & weekends, so that the work at the office is not disrupted at all be the moving. This will allow company owners to move their office without the process affecting their actual business flow. Moving appliances, personal belongings, boxes, furniture from one property to another. We do all the loading, transporting to the 2nd property or home and unloading also. Big furniture items are usually dismantled just before the transfer and re-assembled at the second address. Household furniture is wrapped with removals blankets for safety. We use sofa and mattress covers where is needed to protect from stains. Floor safety available upon request. Usually we have a few boxes available to use if it is needed for some extra packing. Quality Property Care Ltd. has been providing a full deal of removals London for more than 15 years now. The ever-growing need of help for moving out or moving in, and for moving stuff in this chaotic city has taught the leaders to invest in hiring dependable staff, training them well and providing continuous top quality control of their work at all times. IN fact, now the company offers to deliver everywhere around Uk, as well as in the EU countries. The main removal services supplied by the company are: home removals, man and van collection & delivery / item pickup, office removals, commercial removals and art transportation. All services are completely insured and your items are taken care of at all times. Choose Quality Property Care Ltd. Removals and Get Special Price! As a totally licensed removals company we can guarantee safe, hassle free removals every time you give us a call. Call 020 3746 4287 and book whenever you need us. We have a customer care desk available to all clients free of charge, simply call and ask any removals related questions and receive a concise solution.